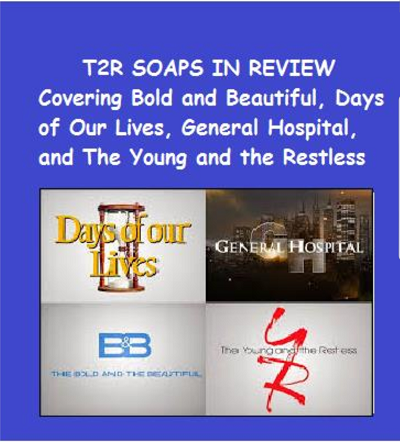 as they recap the 4 remaining soaps, The Bold and the Beautiful, The Young and the Restless, General Hospital, and Days of Our Lives! Whether you watch all 4 or just one, listen in as they review the good, the bad, and the ugly of your favorite soaps! We welcome calls from the fans! Give us a call & give us your opinions!